The Bible is a spiritual book given to us (inspired) by God Himself. So, it is a mistake to read it like any other book. The Holy Spirit inspired the writers to record the words that now make up our Bible and so the illumination of the Holy Spirit is needed to accurately understand it, and to accurately apply it. Consequently, prayer before and/or after Bible reading is very important. And it is something that we should be reminded about. While you are reading the Bible, it is very common to come across passages or verses that you just don’t understand. It is a mistake to focus on those things because you lose the flow of the Scripture that you are reading and it bogs you down in the fine details of the passage.It is better to just move on and continue to read past the verse or verses that you don’t currently fully understand and come back to them later. When you have the time, you can then study the passage or verse that you are wondering about, consult a commentary or two (there are good ones on-line that are reasonably priced or free) and see what others have to say about the passage. A lot of the mysteries in Scripture are resolved when we understand the historical and cultural contexts and there are many resources that will help you to do just that. Or, we discover what the original languages are saying. So, don’t get tripped up, don’t stop, don’t get stuck. Just move on, continue to read the passage, continue to read the parts that you do understand, and then go back later to those texts that you do not understand. 3> Reading too fast, as if you are reading a novel or other fictional writing. Again, the Bible is unlike any other book. You can not read it like you would read a novel. The best way to read and apprehend the Scriptures is to read very slowly. And, I would encourage you to read a passage more than one – at the same sitting. And, even read it from a different version or translation during the same devotional time. But reading slowly is important to grasp the Scriptures. Remember, you are reading for both mental understanding as well as embracing the truths in your spirit. Again, the Bible is a spiritual book. Consequently, our spiritual state will affect how we read it what we get out of it, and what we see in it. Therefore, if there is something in your life that God has put His finger on, that you have not dealt with, then you want to deal with it before the Lord, because it will profoundly affect what you get out of your time reading and studying the Bible. 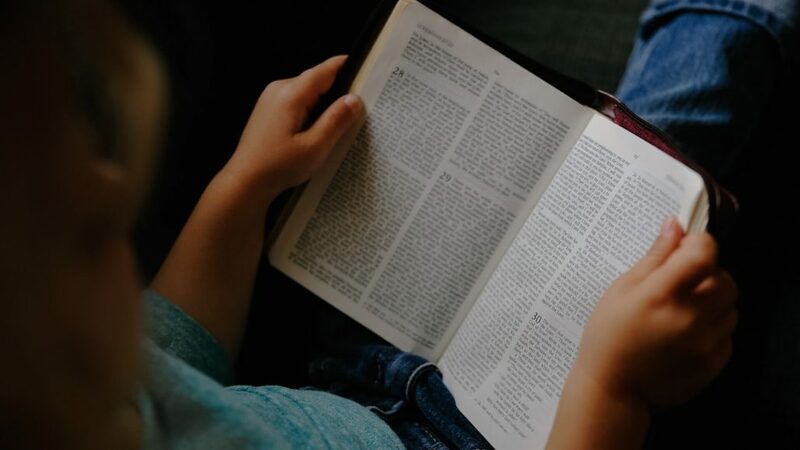 When it comes to Bible reading, Bible study, and Bible understanding, it is not just a matter of the methods you use, but you yourself have to be in a right state in order to understand it properly. 5> Applying Old Testament laws and rituals and promises that were spoken to Israel and that have been done away with, or fulfilled in the New Covenant. And this is a very large topic, but so much that is in the Old Testament has application for that time, and it was either fulfilled, or done away with in the New Covenant. This applies to many of the dietary laws, it applies to many of the sacrificial rituals, it applies to the clothing rules – the clothing laws – and on and on. And it is a mistake to go back to the shadows that pointed to Jesus, and reinstitute those as law when we have Jesus Christ and the Holy Spirit. This is the main point of the Book of Hebrews. There is an amazing book currently available on this subject. I don’t often recommend books on my blogs but this one is one of the most freeing books I have ever read. I cannot recommend it highly enough. It is by Andy Stanley and it is called “Irresistible.” It is available in paperback and ebook. Worth the price and a book you will refer back to – even reread – often. 6> Reading the Bible out of context. This is a big problem. A huge problem. It is very important that you take some time to read the context and the historical setting of every book of the Bible before you actually begin to read the individual book. Then you will understand why the book or letter was written, to whom it was written, when it was written, and the issues that needed to be dealt with that brought the letter (book) about in the first place. For example, if we just go over the the New Testament, the letters we have called 1st and 2nd Timothy were written to one of Paul’s coworkers, a young man who was being mentored by Paul in issues of the Christian life and ministry. In these two letters (books of the Bible) Paul deals with a specific set of circumstances and issues that Timothy was dealing with in his work with various local churches. Colossians, on the other hand, is an example of a letter written to a church, a local body of believers, that was experiencing a specific crisis. Consequently, how you apply the things said in Timothy, and how you apply the things said in Colossians are going to be two very different things. One was written to a coworker, another was written to a church. That is just one example among many. So, understanding the context, understanding who the writer is writing to, what the circumstances were, understanding what provoked the letter – if it is a New Testament letter – or what provoked the book – in the case of the Old Testament – are all very, very important to understanding the content. This is a problem all believers encounter when our rational approach to life is also the way we approach the Bible. This is a mistake that even Bible teachers and preachers make. We go to the Bible to look for information, to look for a promise God has made to His people (you), a principle that you can apply to your life, a “now” word from God to meet a crisis that you are facing. This is a ‘looking for information’ or rational approach where really the Bible is a living Word” and thus can be transformational – changing our lives from the inside out. For preachers and teachers we go looking for sermon material, or material for a message that applies to other people. So, we need to slow down and take what we are reading personally, applying it first to our own lives. A note to teachers and preachers: The secret to ministry, the secret to effective ministry, is to take that which has applied to you in your own life, that which you have experienced, and that which has become food to you, to give to other people. So, reading it personally first is very important. One of the things I have found very helpful is switching versions every once-in-a-while. I normally read the ESV version of the Bible (English Standard Version).However, after a year or more of reading and studying God’s Word in this version (my favourite version) I switched to the NLT (New Living Translation). Because the wording is different and the way each verse is expressed differs from version to version I find that the Word comes across fresh and new once again because of the different way verses I know so well have been expressed. There are a good number of decent versions of the Bible available today in English at a decent price. So, just about everyone should be able to switch versions of the Bible every 12 to 18 months to “jolt” their senses as they read the same truths expressed in a slightly – and sometimes majorly – different way. There are many versions that are free online and can be used on desktops and laptops as well as cell phones. So, cost should not be a factor. One of the key ways that we receive spiritual nourishment is by reading the Scriptures. However, there are times that all of us experience when reading the Bible becomes a chore, rather than a delight. And, during such times, the words seem as dry as dust. Our minds wander. We open the Scriptures, and the words do not speak to us. What do you do when the Word is simply silent? More on that in a second article on the Bible today!